A closer look at most path-breaking enterprise cloud technologies, which have come about in the recent past, reveals that they are addressing either efficiency issues (time, cost or both), or a need which has been unaddressed or are solving for a latent need. Participants in the clinical trial industry have not been early adopters of technology – as compared to other industries such as BFSI, travel & transportation and so on. This is perhaps to do with the need for multiple levels of regulatory compliance in collecting, analyzing and reporting data related to clinical trials and the perceived risks outweigh immediate benefits. The advantage of being a laggard has its own silver lining. We can predict the evolution of technology in healthcare and life sciences industries much better and in fact increase the probability of success through learning obtained from other regulated industries such as BFSI. Cloud based technologies are not new to the clinical trials industry. Studies estimate that cloud computing solutions can lead to a 30% increase in speed to trial for clinical work, and can result in considerable cost savings (some estimates suggest savings of up to $400 million until approval). If the market continues to adopt ePRO/EDC technologies, paper studies and subject diaries could cease to exist in 10 years; and focus would shift to new opportunities and/or risk-mitigation via multitude of meaningful information – all accessible conveniently. As the availability, and abundance of data continue to increase, the kaleidoscopic nature of data would prove to be more insightful, when analyzed in combination of other data. Future of cloud-based information paradigm in an integrated health & life sciences industries have lot to offer for a holistic patient care. 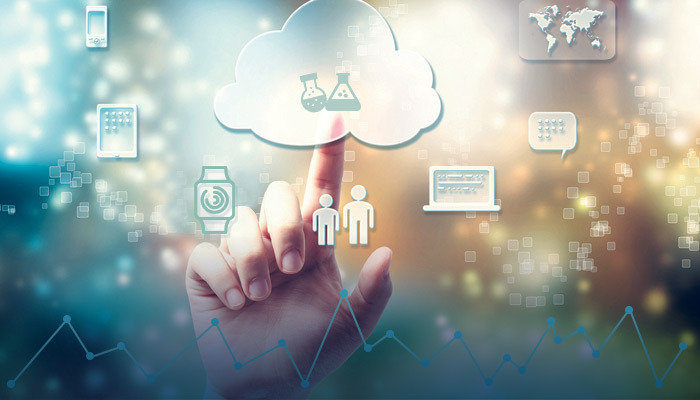 Here are some of the changes which cloud based technologies are likely to drive in healthcare and life sciences industries, many of which are already manifesting in other industries. BYOD is under active consideration by policy makers. The FDA requested for suggestions on use of technology in conducting clinical trials and specific questions around the usage of BYOD and compatibility between multiple devices. BYOD is a certainty in that the efficiency in collecting data, recruiting and retaining subjects it provides is lucrative. Cloud will enable the usage of BYOD – by making data capture convenient and efficient and also solving for compatibility related issues between multiple device types. Context Rich and continuous data is now available, which could explain other end-point phenomena observed during trials. Clinical research organizations would need to be equipped to deal with unstructured data and make sense of this. They would need to get Big Data skills moving from the well tabulated data which we are all accustomed to. A lot of longitudinal studies would be enabled which would have implications on the nature of clinical trials and personalized patient care we would see being conducted in the coming few years. It is a given that we would be dealing with a lot more unstructured data in the coming years than ever before. Another fact we need to reconcile to is that the breadth and depth of analysis expected to be run on trial data would multiply. The combination of complex analysis requests on data which is significantly larger than we see today implies that our cloud-based information architecture should be equipped to deal with this. Especially running multiple analysis on the cloud (since the data would be contained there), would require a new way to be architected. This is something one should be prepared for. Practicing clinicians will vouch for the fact that they expect many collaborative studies to happen in the future. We are witnessing collaborative studies bringing pharma, genomics, and information sciences together. The same data would be used to run multiple analysis towards various end-objectives. Cloud enables that. The corollary which goes with this is the issue of multi-tenancy and compliance. Those working on cloud technologies would need to build in enough flexibility and security to enable collaborative studies, while ensuring that access to data for different collaborators is kosher. Can we learn better and reduce risks (and therefore cost & time)? The fact that the cost to bring a blockbuster drug to market is increasingly steep and that is well understood and several attempts are on, to rationalize this cost. However, an area which offers a goldmine to new studies is how those involved in clinical development can learn from existing data, within their own organizations, partners, collaborators, institution and from internet. One can anticipate emergence of collaborators who pool in data from multiple studies to draw from each other’s learning and avoid obvious pitfalls. This would be invaluable to further science, but also reduce risk and cost to bringing good science to market! While #1 is an example of how cloud technology brings about efficiency, #2 through #3 are emerging needs which need to be addressed by technologists. #4 & #5 are those problem statements where the need is not acutely felt, but addressing these can lead to paradigm shifts in the way clinical trial analysis is done. For technologists and industry participants like myself, there could not be a more exciting time than this!